What makes Songfinch so incredible is our team. Not only our direct staff, but our Songwriter Community of over 350 artists, songwriters and musicians from all walks of life developing and growing their career in the music industry. Some of our songwriters are newer to the music business and their talent exceeds experience, while some have been in the business for years with charting songs and plenty to talk about. Either way, they all are expanding their career and at the same time, helping us spread love and positivity through personalized songs. 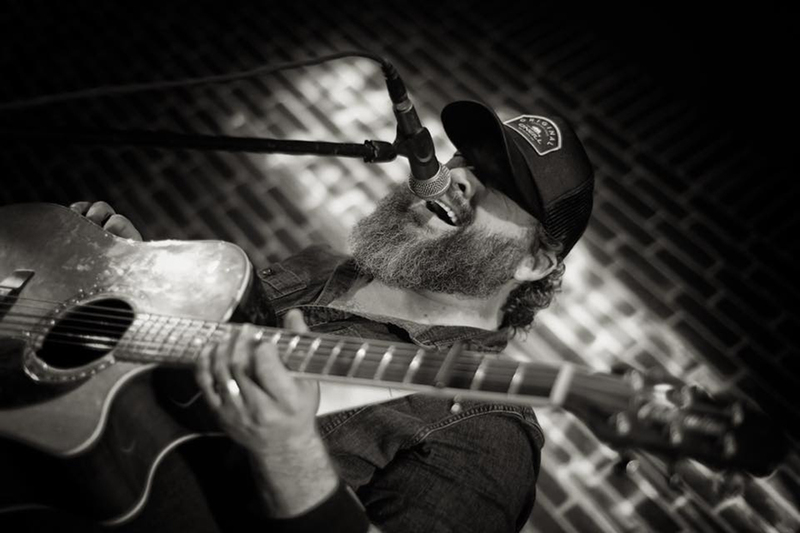 We’ve been working with Dave Fenley for almost a year now and not only is he one of our favorite country songwriters, his motto “Spread Love Like Peanut Butter” aligns with what Songfinch stands for. When we found out that he was going to be on NBC’s hit show, The Voice, we couldn’t be more excited for him. If you guessed #TeamBlake, you got it. The next time you saw Dave on the show, it was during the Knockout Round where Dave performed a cover of Lionel Richie’s “Stuck On You” that Lionel, himself, would be proud of. You didn’t see that song selection coming, did ya? Something cool about this performance, shortly after, “Stuck On You” by Lionel Richie hit number 1 on the iTunes R&B/Soul chart. That’s the power of an incredible performance! Next up is the battle round where two members of #TeamBlake sing a song together and Blake picks the one that he thinks is a better fit for his team and has a better chance to win the competition. Dave Fenley and Keith Paluso performed a cover of George Jones’ “I’m A One Woman Man,” which we feel both killed it. Blake had the final call and we believe he made the right choice choosing Dave as the winner of the battle round. However, Keith Paluso, was “stolen” by one of the other judges, so he is still alive in the competition. Are you ready for some badass beatboxing? Dave shows a new side of himself with a cover of Bill Wither’s song “Use Me.” His range is ridiculous. Having made it through to the top 10 (YAAAAS! ), Dave performed “When You Say Nothing At All” by Keith Whitley and he absolutely nailed it. When we first started to work with Dave last year, when he delivered personalized songs for us, one thing that we would tell him was “when you sing, you can tell that it comes from deep within your heart” and that is exactly what the judges said about this performance. His vocals are so convincing and you can tell they are coming from his heart – he’s not just singing, he believes the words he sings. Next up is live voting where we need everyone’s help getting Dave to the top. I mean, listen to his voice and tell me he doesn’t deserve to win. It’s raspy, it’s authentic, he sings from his heart and it’s not the same ol’ voice you hear all the time on singing competition shows. Voting for Dave Fenley starts on November 12th at NBC.com or by downloading the NBC The Voice app. Good luck Dave, we’re rooting for you! YES!!! GO DAVE!! GO TEAM BLAKE!